UNL researchers are using engineering expertise to tackle health issues with support from National Science Foundation CAREER awards. These five-year awards support research by junior faculty who exemplify the role of teacher-scholars through outstanding research, teaching and the integration of education and research. Recent UNL winners are investigating obesity and antibiotic resistance. A type of stem cell that morphs into fat cells may hold secrets to reducing obesity. Mesenchymal stem cells (MSC) are capable of turning into various specialized cell types, including bone, skin and fat. One biological process contributing to obesity is an increase in MSC differentiation into fat cells. 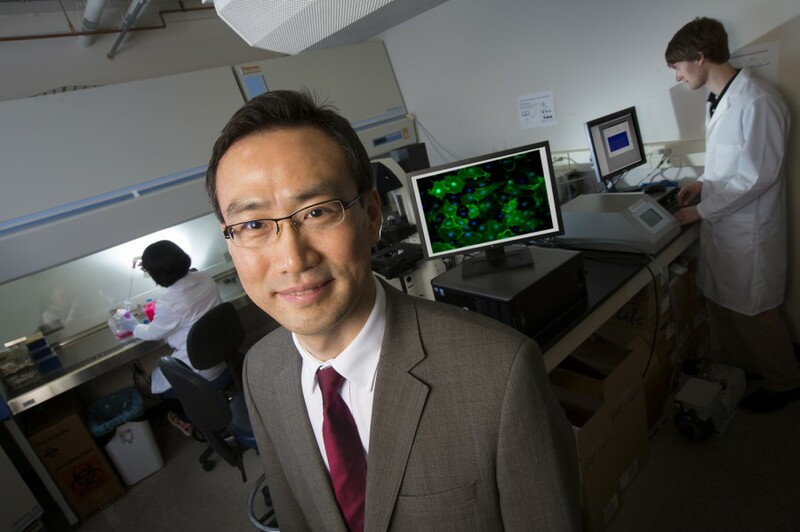 With a $430,500 CAREER award, Jung Yul Lim, assistant professor of mechanical and materials engineering, is studying a mechanical method to inhibit the cells from morphing into fat. Lim previously found that “stretching” the cells suppresses their differentiation into fat. Stretching mimics the motion that cells experience in the body. Now, he’s exploring how different stretching conditions at various stages of MSC evolution affect fat production. Lim also is investigating the molecular mechanisms at work. Finding the proteins or genes responsible may lead to treatments for obesity. To help combat the growing threat of antibiotic-resistant bacteria, Xu Li is studying methods to reduce both antibiotics in the environment and microbes’ resistance to them. Microbes interact with antibiotics differently whether in the gastrointestinal tract, water, soil or other settings. 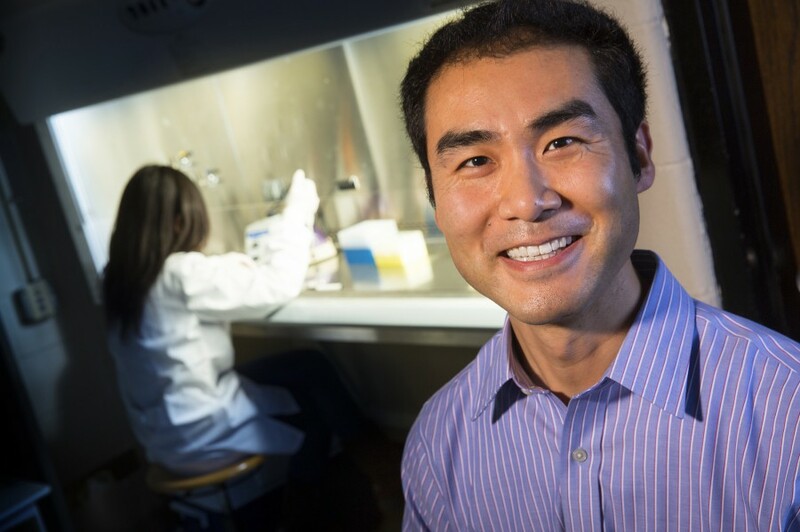 With a $400,000 CAREER award, Li, assistant professor of civil engineering, is investigating how antibiotics and microbes interact under different types and levels of nutrients. Using quantitative proteomics and other techniques, Li is identifying and studying the proteins involved in resistance. Preliminary results suggest that some bacteria starved of nutrients respond similarly to the stress of antibiotic exposure. Therefore, bacteria already responding to nutritional stress may be better able to defend against antibiotics. In contrast, other bacteria break down complex environmental molecules for nourishment, which may include antibiotics. Understanding both types of bacterial responses may lead to waste management practices and other approaches to reduce resistance.